Hey 👋, Try Helperbird for free for the month of April!! 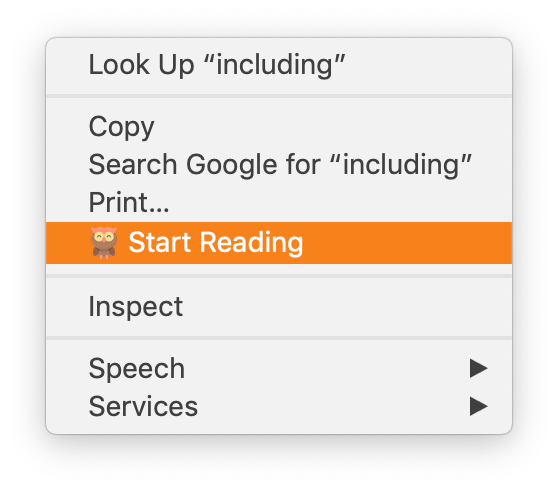 Helperbird is a browser extension that gives people the features and customization to make reading and browsing the web easier. Including specialized fonts, changing of the background color, font colors, text to speech, overlays, ruler and more! Here are a few of our favioute companies talking about Helperbird. Helperbird stands out with its built in features!. Specialized fonts for dyslexics and others. Convert the font on websites to use OpenDyslexic, Dyslexie, Arial, Comic Sans and more. The ruler screens the lines above and below and the sliders can be manipulated to expose only small parts of words. Studies have shown some background and font colors help people with dyslexia focus and improve reading. All suggested colors included in Helperbird. Have a website you don't want Helperbird to run on? Well with the blacklist feature you can make sure Helperbird doesn't run on that URL. Not sure what a word is or sounds like? Select it and Helperbird will read it out loud. 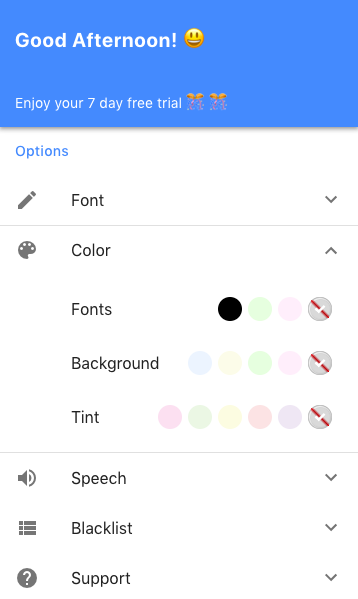 Users with Scotopic Sensitivity Syndrome (SSS) or does with light sensitivity or even people who simply don't like bright white web pages can now change that with the overlay feature. See what the users have to say about Helperbird. This works and it makes everything so much easier to read! Thank you so much and i will keep posted if i do run into any issues! Works a treat. Couldn't get dyslexie.com to work. This is brill! This is a great little extension, lightweight and non intrusive. With dyslexia its reading that's an issue, not the underlying intelligence. An aid such as this one, can help deliver the world to some who may not otherwise have received it. Great Work. I'm a dyslexic university student and I'm toying with whether to pay for this every month or not. My issue is that when I want to use it for my written assignments (using google doc) the writing goes off the document and so I can only read the first 2/3rds of every line... Is there any way of changing this? If not, I'll keep my money and struggle on, I guess. Other than that, this extension seems amazing so if that doesn't bother you, I say go ahead and get it! Wow what great tool, I love it! Keep up the excellent work. Add more fonts in the future and cant wait for the ios version!! Also thank you Robert for the support emails. Helperbird helps people with dyslexia by giving them the tools and features they need to improve there writing and reading online. Convert the font on websites to use OpenDyslexic, Arial or Comic Sans. Blacklist - Disable from running on individual sites.